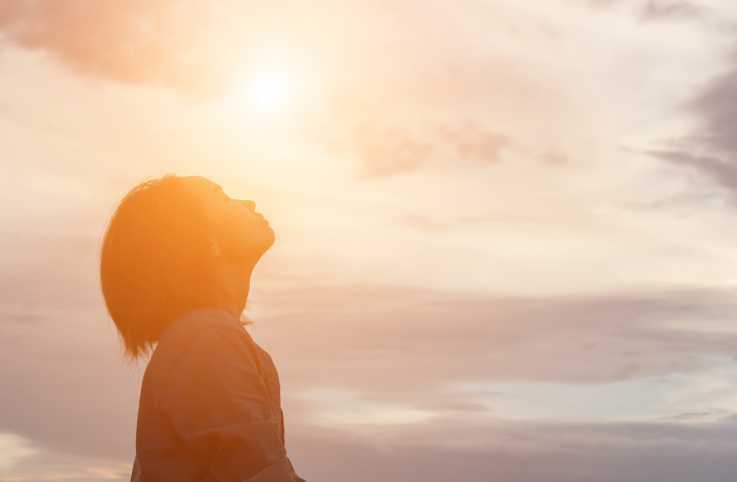 On a recent trip to the Hawaiian island of Molokai, Guideposts made friends with the local animals on the beach, off the highway, in the lush jungle of Halawa Valley and more. Enjoy these pictures of adorable animals of Molokai. 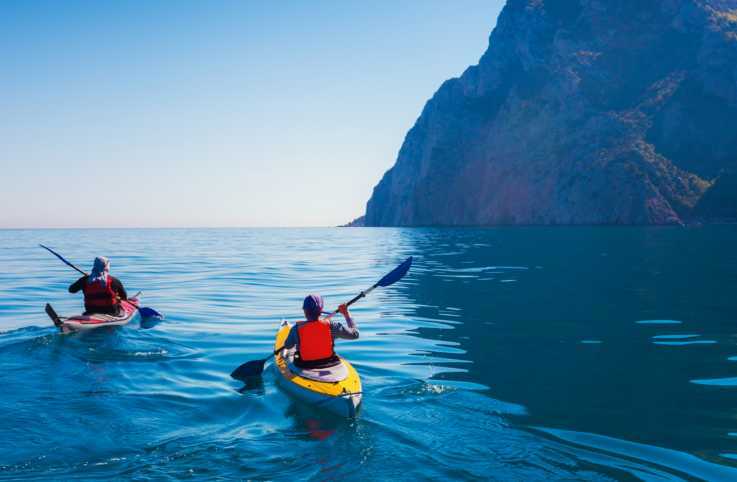 Brooke Obie visited Hawaii courtesy of the Destination Molokai Visitors Bureau​. 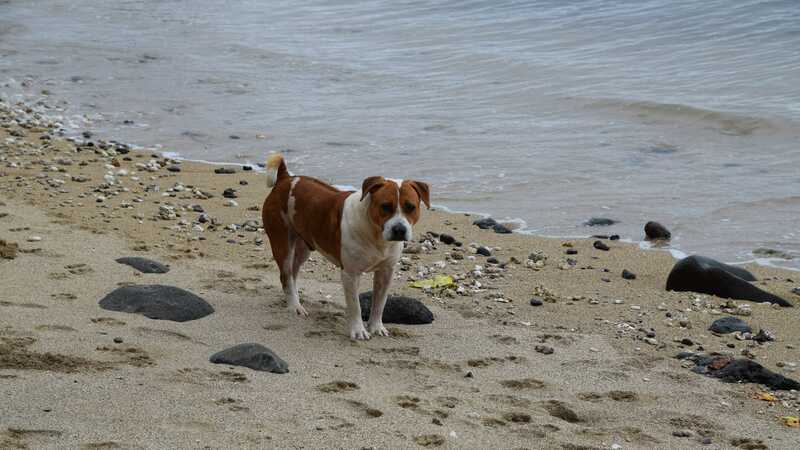 This sweet pitbull mix was wandering the beaches of Molokai on the southwest side of the island. 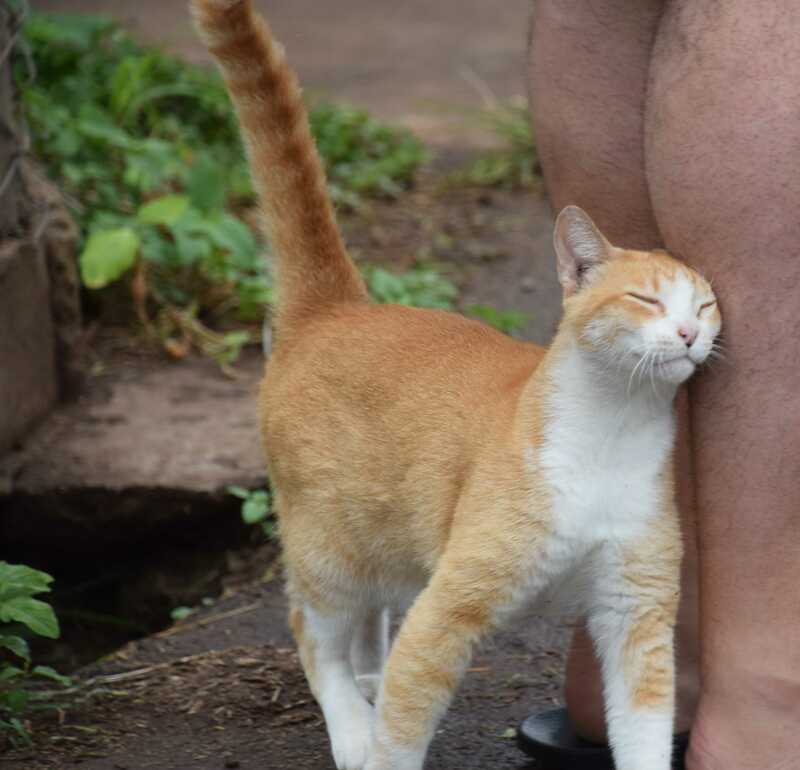 This alley cat found a leg to snuggle in Molokai's farmer's market in Kaunakakai. The ae'o bird, also known as the Hawaiian stilt bird, is an endangered species that live in the wetlands and marshes of Hawaii. 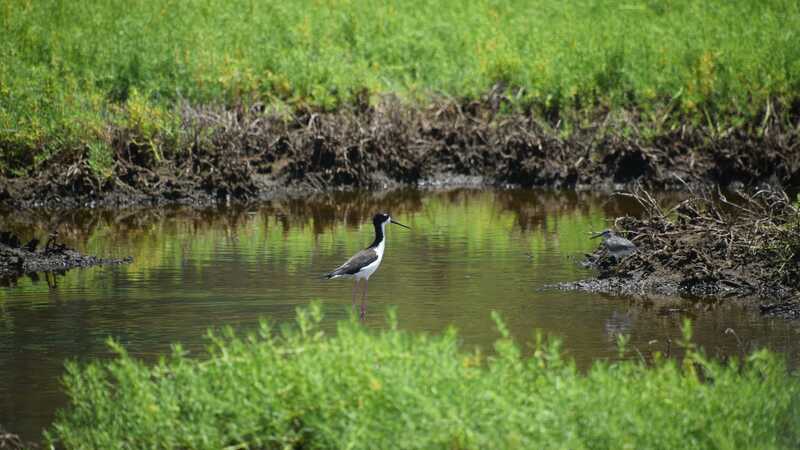 There are about 1500 of the indigenous birds left and they travel from island to island, throughout the state. 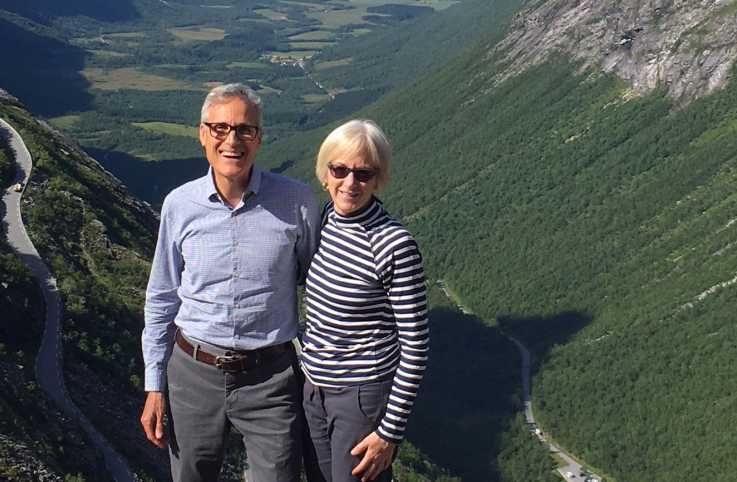 This bird was photographed off of the island's southern shore. 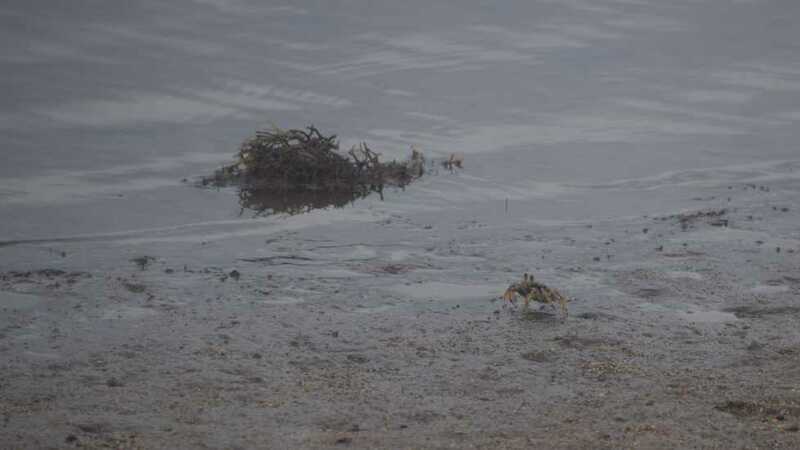 On this rare early morning on Molokai when the rising sun was obscured by clouds, this crab popped out of the sand on the beach of the Molokai Hotel to enjoy the warm breeze. 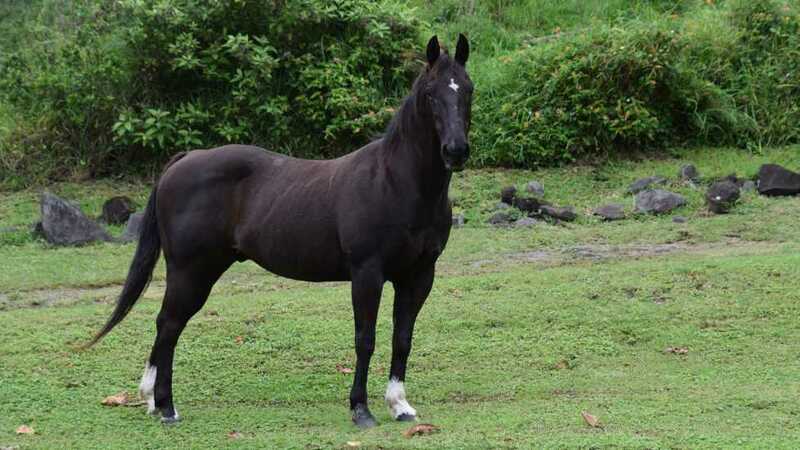 This farm horse was photographed off of Molokai's main road, Kamehameha V Highway. 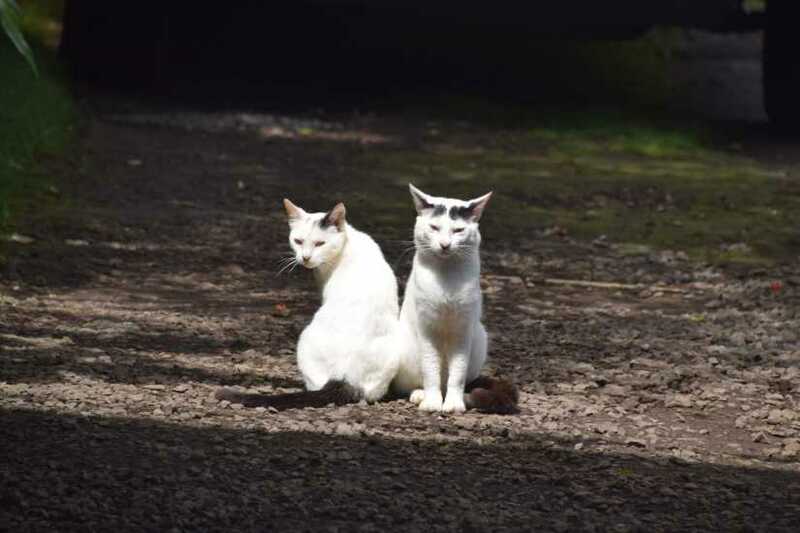 These twin felines at the historic cultural site Halawa Valley pose like Disney characters. 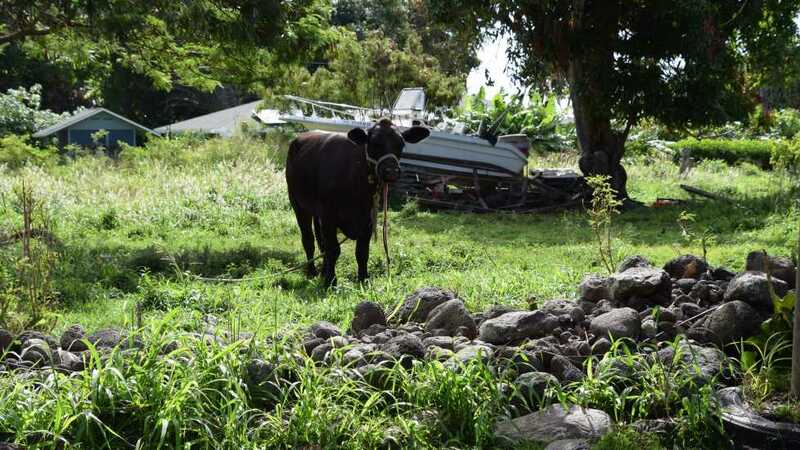 This steer's name is Paele but the grandchildren of his owner call him Blackie. 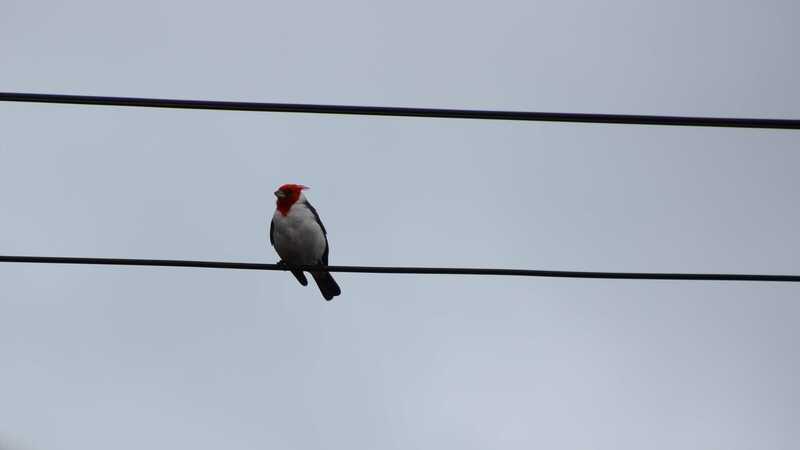 This songbird (also known as Paroaria coronata) was hanging out on the telephone wires above the Mana'e Goods and Grindz supermarket and fish fry off of Kamehameha V Highway. 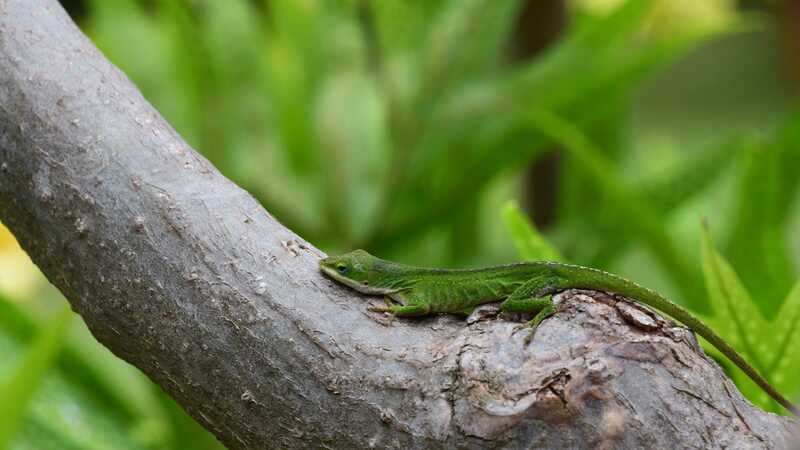 This gecko was spotted in a tree at an orchid farm off of Kamehameha V Highway, run by a woman affectionately known as Aunty Julee. 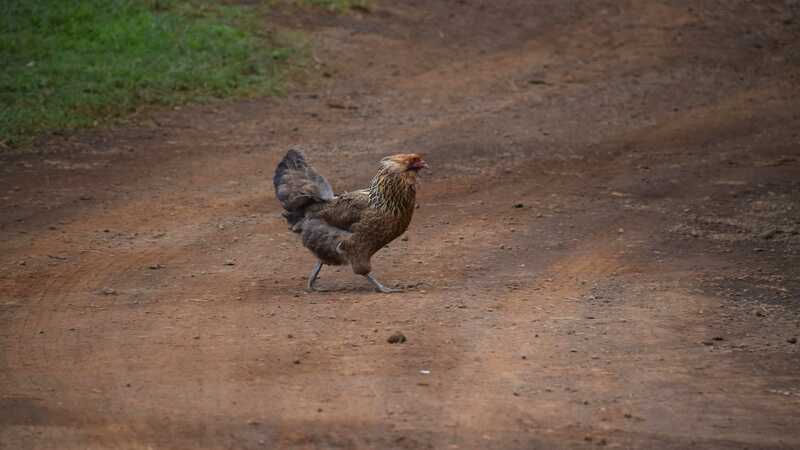 This free-roaming rooster crossed Like Like road in the suburbs of Molokai.